There are 2 posts tagged drones (this is page 1 of 1). I don’t think there has been a news story in the last few weeks that has made me more irate than this one. Malik Jalal describes four drone strike attacks trying to kill him (and the collateral damage of those attacks). I need to understand this better and will read these Drone papers very soon. I soon began to park any vehicle far from my destination, to avoid making it a target. My friends began to decline my invitations, afraid that dinner might be interrupted by a missile. I took to the habit of sleeping under the trees, well above my home, to avoid acting as a magnet of death for my whole family. But one night my youngest son, Hilal (then aged six), followed me out to the mountainside. He said that he, too, feared the droning engines at night. I tried to comfort him. I said that drones wouldn’t target children, but Hilal refused to believe me. He said that missiles had often killed children. It was then that I knew that I could not let them go on living like this. 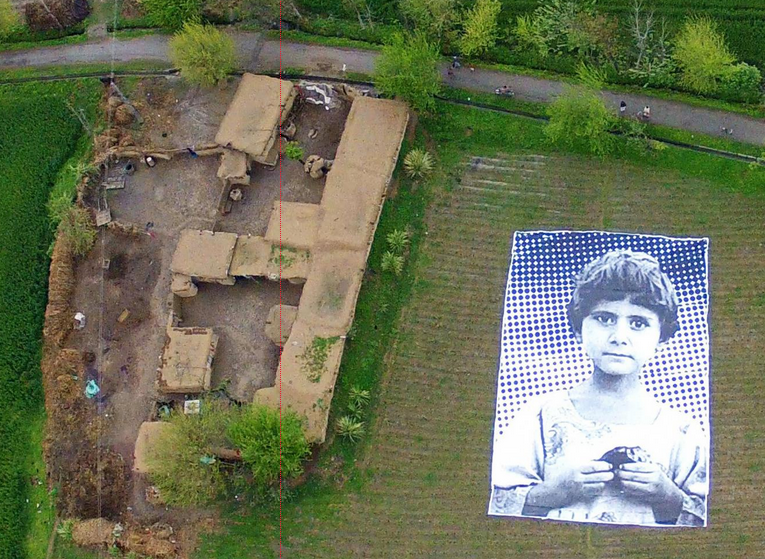 Artists in Pakistan target drones with giant posters of child victims.